In the 20th century, Italian immigrants came to Argentina in search of a new life, including Valentin Bianchi, who founded a winery in San Raphael, Mendoza in 1928. After a few short years, the winery's efforts were winning awards, including the nation's Maximum Quality Prize in 1934. 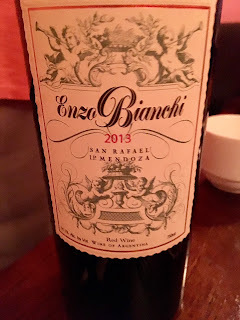 Today the Bianchi family continues to make wine in Mendoza using rootstock from their ancestral home of Italy, as well as California and France. 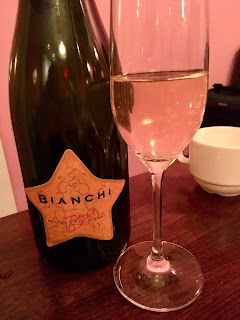 The wines of Bodega Valentin Bianchi were poured at a media dinner at the Chimichurri Grill in Manhattan and wowed the participants with their high quality, variety of styles and varieties, and winning quality/price ratio. - Bianchi Brut Sparkling - This inviting sparkling wine has fresh, toasty nose from 12 months lees aging. It is produced in the traditional method with second fermentation in the bottle. A crisp wine to celebrate with for only $21.99. - Elsa Torrontes - Named for the grandmother of the current owners, this expressive wine is highly aromatic. The lush tropical fruit on the nose is rewarded with pineapple and mango on the palate. It was a vibrant wine honoring a woman who was the same. This terrific distinctive Argentine wine offers great quality for the low price of $11.99. In this tasting, participants enjoyed a range of flavors from this Neuvo Argentine restaurant - from oysters to empanadas to filet mignon. We found the range of wines worked really well with all the bold flavors served. Seek out the wines of Valentin Bianchi for well-priced wines of distinctive character.